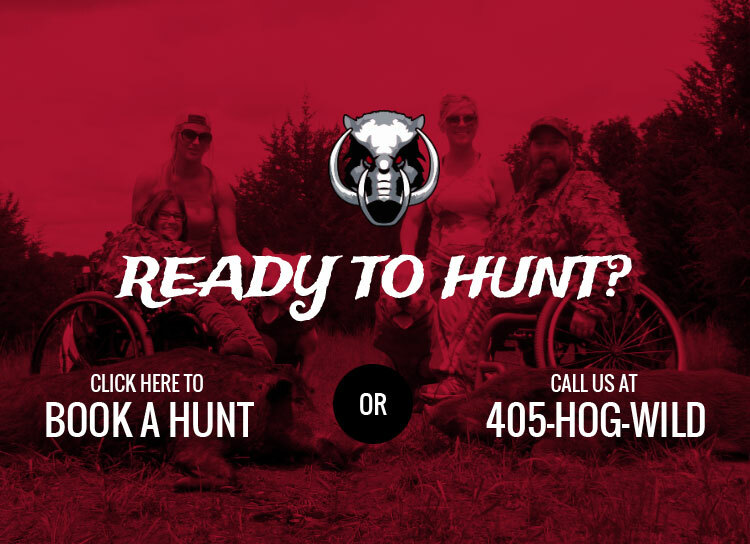 Hog Wild offers quality hunting options for the outdoorsman that demands the very best. Two days of chasing trophy hogs. This is the thrill that keeps our customers returning year after year. Most generally we do morning and evening stand hunting with mid-day spot/stalk hunting, if our hunters are capable. This includes the night vision scopes/rifles to allow us to hunt hogs at night. Two days of hunting AM/PM stand hunting and mid-day spot & stalk. No trophy fees and no size requirements. Harvest your first hog then we will take you back out for the second. 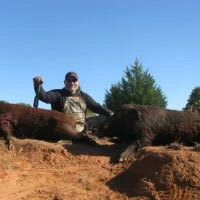 The double hog hunt cannot be split between two hunters; it’s limited to one individual hunter. This includes the night vision scopes that adapt to your riflle to allow you to hunt hogs at night. 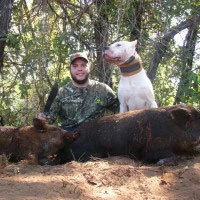 Hog hunting with dogs is by far the most exciting way to hunt hogs. During the summer months, this hunt takes place at night while during the winter and spring months we can use dogs during the day. This is an intense, fast paced hunt that you will never forget! Come hunt with the Dogo Argentino's and curs of Flying G Kennels. No firearms or bows are allowed – only a knife & spear. Scheduled arrival for your hunt is the evening prior at 6pm or later. The wild hog you take down is yours to keep. Your guide will take care of your hogs for you. 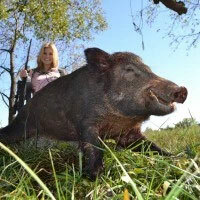 If you decide that you don’t want to keep your wild hog, that’s fine too. We’ll make sure the meat doesn’t go to waste. Hog Wild also supports our military personal. We offer a 10% (discount of your total hunt price) to all our military, policemen and firefighters and veterans. We thank you for all you do for this great country. We do apologize, we do not give "group" discounts.